I was hoping that our recent decision to take a short family trip to the city of Hyderabad was the right one. Wanting to add one more Indian destination that I have traveled to, this venture was on. It would be fun to explore Hyderabad that reveal an exciting blend of cultures, history and modernity like nothing else does. Yes, there’s certainly lots to see and do in and around Hyderabad. The Chaumalla Palace, Charminar, Golconda fort, shopping for bangles and the Irani chai with Osmania biscuits that melt in your mouth. Yes there was more…. One such attraction being the Sallar Jung Museum was on our list of must visit places when in Hyderabad. SweetAnnu was so impressed by it that decided to do a blogpost. Housing the largest one-man collection of antiques in the world, the Sallar Jung Museum is known throughout India for its vast collection that encompasses works from across the world, dating back to the 1st Century. 1. 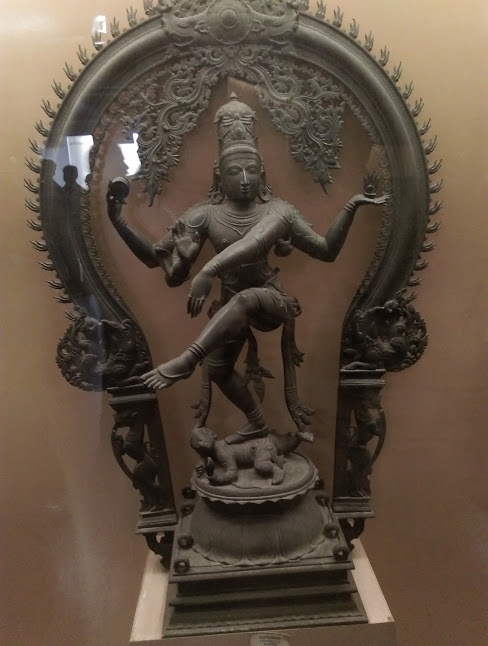 Natraj Statue- The big size Nataraj displayed in the gallery depicts Lord Siva performing Ananda Tandava symbolizing five features of the Lord i.e., creation, preservation, destruction, salvation and omnipotence. 2. 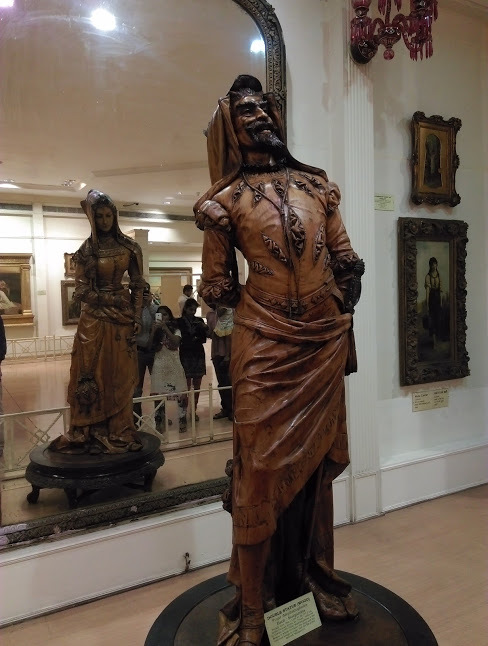 The Mephistopheles Statue- Another sculpture that immediately catches your attention is the wooden sculpture named Mephistopheles, which is a double statue, carved out of a single piece of wood. Taken from a famous book by Goethe, it just make me rub my eyes in disbelief. 3. 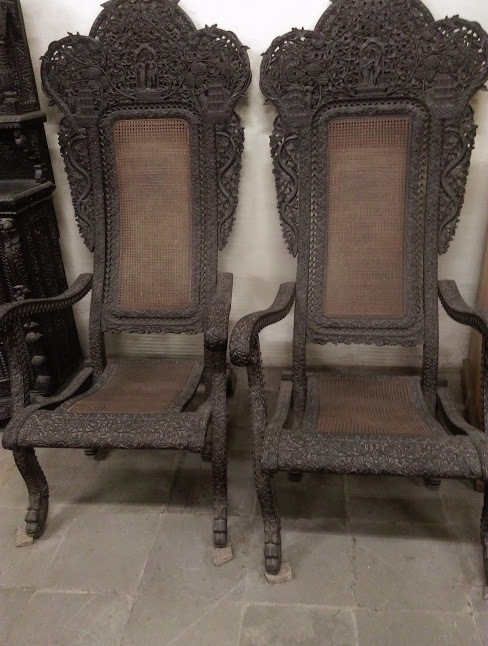 Furnitures- Exquisite hand crafted chairs and furniture of every size and shape got me so fascinated and transformed me to another era. Well crafted Thrones, tables, tables and so much more. 4. 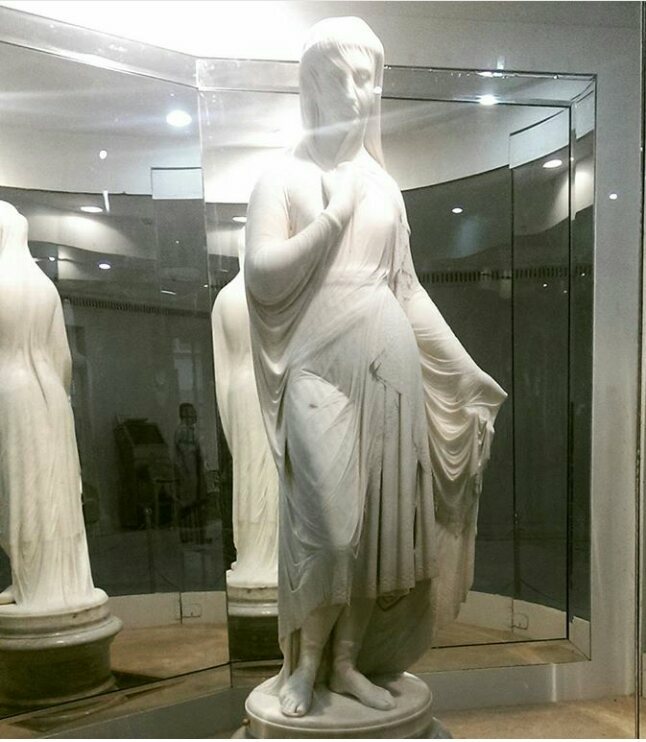 Marble Statue Rebecca- Italian sculptor Benzoni’s Veiled Rebecca is another highlight, which depicts the artist’s supernatural skill at chiseling marble to look like a thin, transparent veil on a woman’s face. Don’t miss this for anything even if your feet hurt walking the long corridors of the museum. 5. 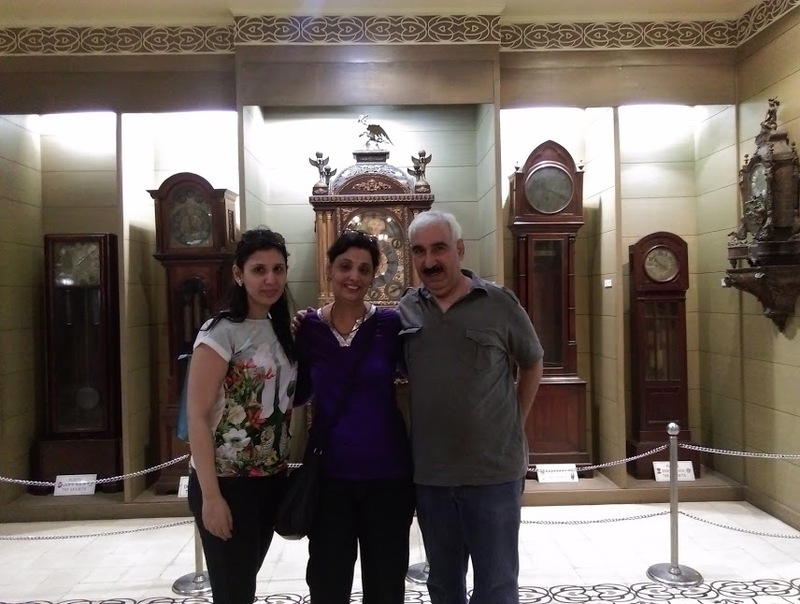 Clocks- The Sallar Jung Museum possesses a good number of clocks collected from different European countries such as France, England, Switzerland, Germany, Holland etc. The variety includes the Bird cage clocks, Bracket clocks, Grandfather clocks, Skeleton clocks, etc. Not to forget the Nizam of Hyderabad’s musical Clock where a miniature toy figure comes out of the clock striking a gong as many times as it is the hours of the day. 6. 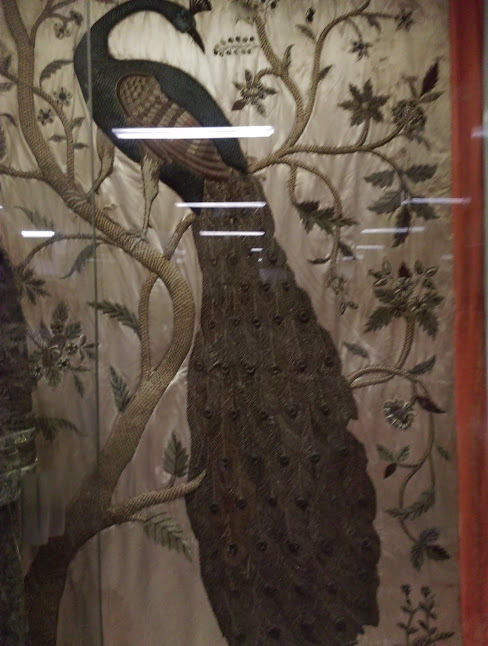 Tapestry and textiles- Rich tradition of Indian textile through varied specimens of fabric as well as costumes, belonging to the last three centuries. Some in quite bad shape but worth admiring. 7. Paintings- Oil and water paintings form an important part of the European collections. You cant stop gazing at some and end up in a discussion on what the painter wanted to portray and tell through it. 8. China and Porcelain – Among the European countries which took to producing porcelain, France stands out for its exquisite works of art, which dominated the world for a long time. The porcelain objects particularly from the place called ‘Sevres’ holds highest place among the ceramics. Each piece was so delicately crafted, I couldn’t take my eyes off them. 9.Moghul Painting- Some fine examples of Mughal miniatures are displayed in this gallery. Looks like I found my 18th Century Jahangir painted on ivory with this Selfie. 10. Sculptures- The collection of stone sculptures in the Museum is not so vast however an excellent standing figure of Buddha of 3rd century A.D is at the Museum is here. Don’t miss the one that caught my attention to click a picture.